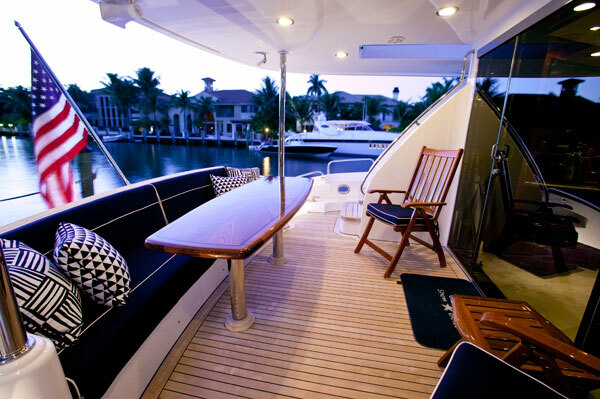 Motor yacht SHOW BOAT is a 2009 Hatteras 78 that measures 23,77m (78’) in length. 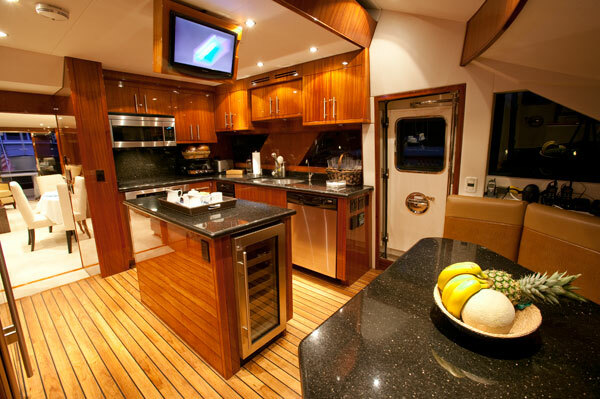 Charter yacht SHOW BOAT is able to accommodate 6-8 guests and can attain speeds of 20-25 knots. 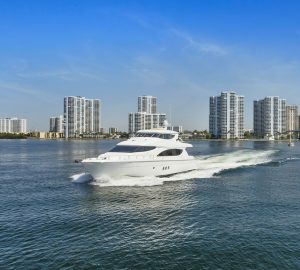 Motor yacht SHOW BOAT is based in New England during the summer and in Florida during the winter. 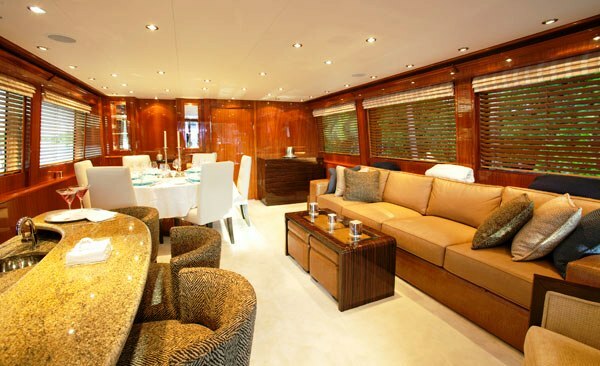 Motor yacht SHOW BOAT was built in 2009 and has a modern interior. 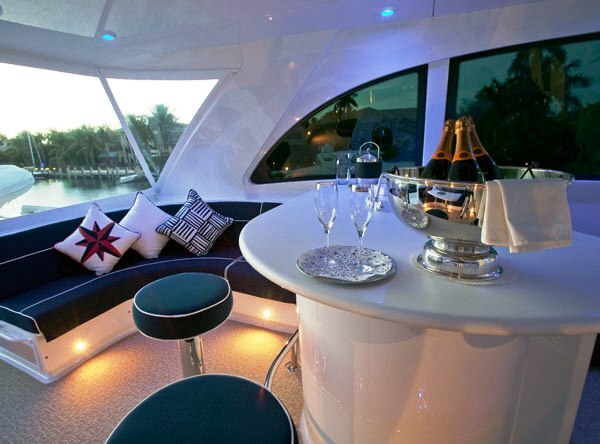 Her salon features a leather couch to starboard opposite a granite topped bar with stool seating. 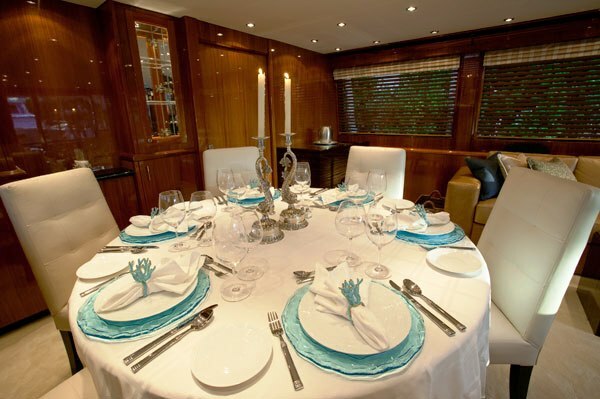 Further forward is the adjoining dining area for up to 8 guests. 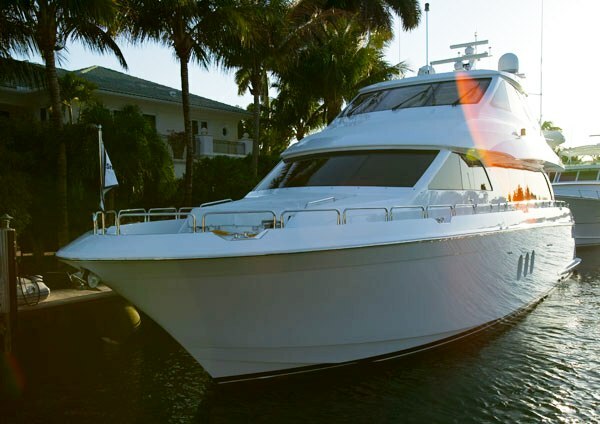 M/Y SHOW BOAT is fully air conditioned throughout. 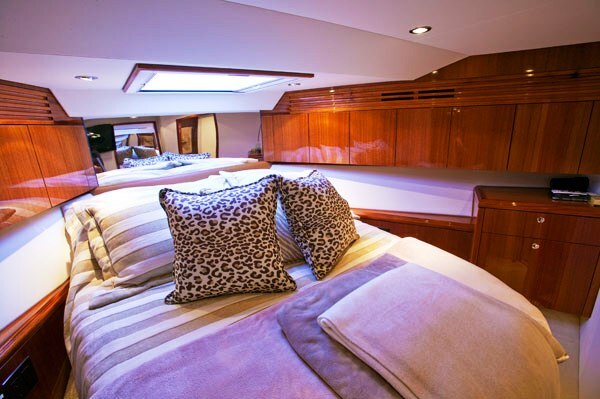 Motor yacht SHOW BOAT can accommodate a maximum of 8 guests in 4 cabins if there are small children on the charter party. Otherwise it is better suited to 6 adults. 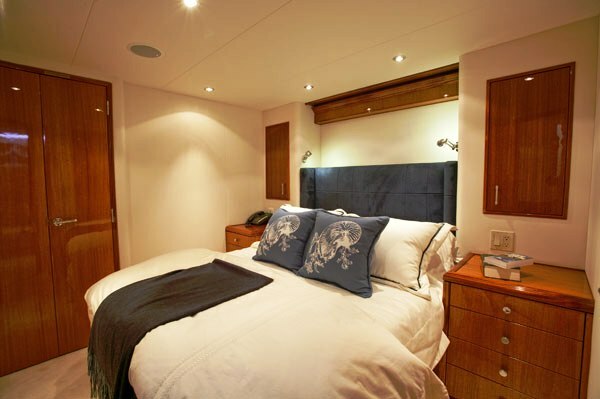 The cabins consist of a Master cabin with a queen size bed, shower and toilet, A VIP Stateroom cabin with a double bed, shower and toilet, and a Guest cabin with a double bed, shower and toilet. There is also a ‘single’ Guest cabin that has a single bed and a pullman bunk. 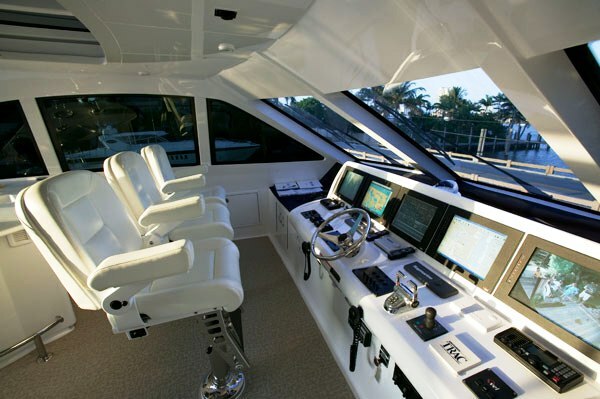 The fly bridge level of motor yacht SHOW BOAT is spacious with L shaped couches lining the port and starboard side aft. Forward of the couches is a fully equipped bar with stool seating. All the way forward on the fly bridge is the control station where you can watch your captain at work. 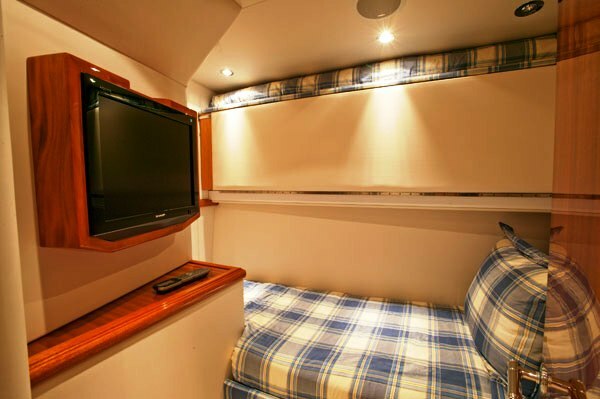 Yacht SHOWBOAT also have an aft deck with a fixed couch and table where it is possible to dine al fresco. Motor yacht SHOW BOAT has a permanent crew of 2 crew on board, including a Captain and Stewardess. Upon request a Chef can be arranged at Client cost. 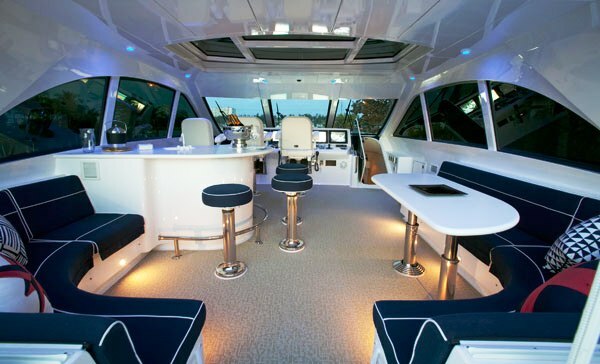 Motor yacht SHOW BOAT can accommodate a maximum of 8 guests in 4 cabins if there are small children on the charter party. Otherwise it is better suited to 6 adults. 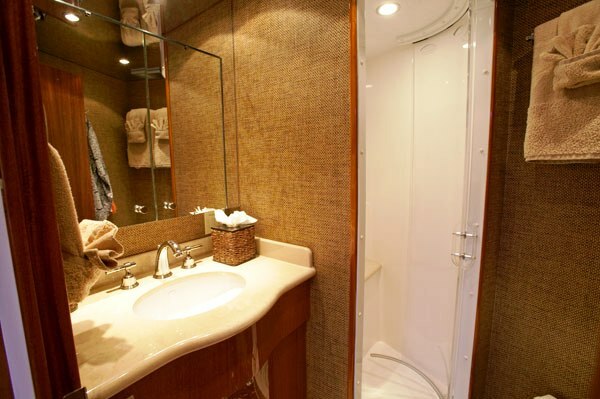 The cabins consist of a Master cabin with a queen size bed, shower and toilet, A VIP Stateroom cabin with a double bed, shower and toilet, and a Guest cabin with a double bed, shower and toilet. There is also a ‘single’ Guest cabin that has a single bed and a pullman bunk. 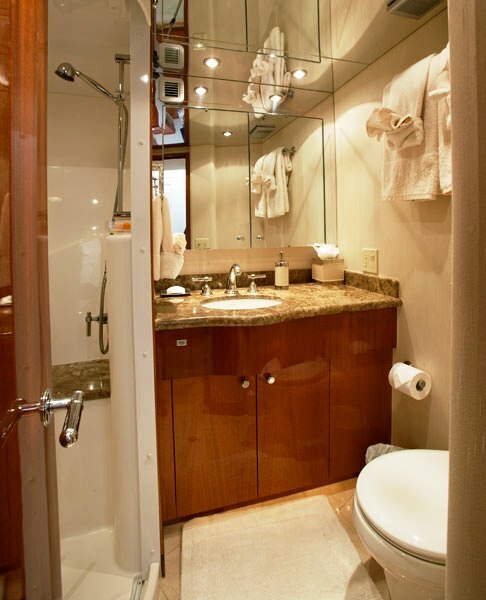 M/Y SHOW BOAT is fully air conditioned throughout. 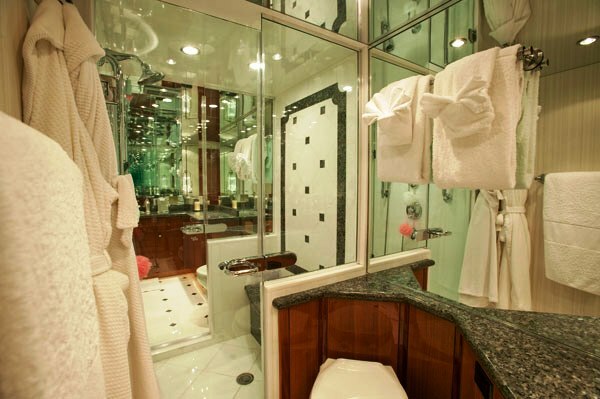 SHOW BOAT´s crew has a separate heads and shower.